For other uses, see Constitutional law (disambiguation). Constitutional laws may often be considered second order rule making or rules about making rules to exercise power. It governs the relationships between the judiciary, the legislature and the executive with the bodies under its authority. One of the key tasks of constitutions within this context is to indicate hierarchies and relationships of power. For example, in a unitary state, the constitution will vest ultimate authority in one central administration and legislature, and judiciary, though there is often a delegation of power or authority to local or municipal authorities. When a constitution establishes a federal state, it will identify the several levels of government coexisting with exclusive or shared areas of jurisdiction over lawmaking, application and enforcement. Some federal states, most notably the United States, have separate and parallel federal and state judiciaries, with each having its own hierarchy of courts with a supreme court for each state. India, on the other hand, has one judiciary divided into district courts, high courts, and the Supreme Court of India. Human rights or civil liberties form a crucial part of a country's constitution and uphold the rights of the individual against the state. 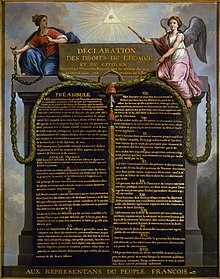 Most jurisdictions, like the United States and France, have a codified constitution, with a bill of rights. A recent example is the Charter of Fundamental Rights of the European Union which was intended to be included in the Treaty establishing a Constitution for Europe, that failed to be ratified. Perhaps the most important example is the Universal Declaration of Human Rights under the UN Charter. These are intended to ensure basic political, social and economic standards that a nation state, or intergovernmental body is obliged to provide to its citizens but many do include its governments. The common law and the civil law jurisdictions do not share the same constitutional law underpinnings. Common law nations, such as those in the Commonwealth as well as the United States, derive their legal systems from that of the United Kingdom, and as such place emphasis on judicial precedent, whereby consequential court rulings (especially those by higher courts) are a source of law. Civil law jurisdictions, on the other hand, place less emphasis on judicial review and only the parliament or legislature has the power to effect law. As a result, the structure of the judiciary differs significantly between the two, with common law judiciaries being adversarial and civil law judiciaries being inquisitorial. Common law judicatures consequently separate the judiciary from the prosecution, thereby establishing the courts as completely independent from both the legislature and law enforcement. Human rights law in these countries is as a result, largely built on legal precedent in the courts' interpretation of constitutional law, whereas that of civil law countries is almost exclusively composed of codified law, constitutional or otherwise. The doctrine of the rule of law dictates that government must be conducted according to law. This was first established by British legal theorist A. V. Dicey. Dicey’s rule of law formula consists of three classic tenets. The first is that the regular law is supreme over arbitrary and discretionary powers. "[N]o man is punishable ... except for a distinct breach of the law established in the ordinary legal manner before the ordinary courts of the land." The Separation of Powers is often regarded as a second limb functioning alongside the Rule of Law to curb the powers of the Government. In many modern nation states, power is divided and vested into three branches of government: The Legislature, the Executive and the Judiciary. The first and the second are harmonised in traditional Westminster forms of government. ^ H Barnett, Constitutional and Administrative Law (5th edn Cavendish 2005) 9, "A written constitution is one contained within a single document or a [finite] series of documents, with or without amendments"
^ Markwell, Donald (2016). Constitutional Conventions and the Headship of State: Australian Experience. Connor Court. ISBN 9781925501155. ^ "Entick v. Carrington". 19 Howell’s State Trials 1029 (1765). United States: Constitution Society. Retrieved 2008-11-13. ^ Black's Law Dictionary - Common law (10th ed.). 2014. p. 334. 1. The body of law derived from judicial decisions, rather than from statutes or constitutions; CASE LAW [contrast to] STATUTORY LAW. ^ Washington Probate, "Estate Planning & Probate Glossary", Washington (State) Probate, s.v. "common", 8 Dec. 2008:, retrieved 7 November 2009."1. A law based on a prior court decision"
^ Hale, Sandra Beatriz (July 2004). The Discourse of Court Interpreting: Discourse Practices of the Law, the Witness and the Interpreter. John Benjamins. p. 31. ISBN 978-1-58811-517-1. ^ Richards, Edward P.; Katharine C. Rathbun (1999-08-15). Medical Care Law. Jones & Bartlett. p. 6. ISBN 978-0-8342-1603-7. ^ Care, Jennifer Corrin (2004-01-12). Civil Procedure and Courts in the South Pacific. Routledge Cavendish. p. 3. ISBN 978-1-85941-719-5. ^ W B Gwyn, The Meaning of the Separation of Powers: An Analysis of the doctrine from Its Origin to the Adoption of the United States Constitution, Tulane University (1965). "Constitutional Law" . New International Encyclopedia. 1905.